Here is one possibility. Teachers can customize based on their own unique understanding of their needs. The goal is to develop an internalized system that lets students work independently and interdependently, reducing classroom management issues and promoting more academic learning time. Throughout, utilize transparent teaching, where students come to understand the why of your pedagogy in order to build meta-cognitive awareness. Integrate the social-emotional and academic concepts delineated within this system in your daily lessons, in your teacher-student communications, and in student practice. Discuss the students rights to grow their potential as thinkers, inventors, researchers, authors, etc. Formally teach how skill-building and repetitious practice of skills lead to developing such a potential, the seeds of which already exist in the student. Enliven students’ inner instructors so they can take an active part in learning with a deep understanding of the rational behind the system as a whole and with each strategy in particular. Remind them of the hope, faith, and optimism that lies within them that can help them overcome challenges and be resilient and successful. These themes should be repeated throughout the learning process, especially through the lens of the General. Develop each of the Advance Team’s strategies into a 2 – 5 mini-lesson unit. Model each strategy (using Think Aloud techniques) and gradually release it to the student. Combine strategies in the latter lessons of the unit to build integration of skills. Have students work in whole group, small group, pairs, and individually. Throughout, begin to discuss the General’s role in meta-cognition and self-regulation, utilizing the chart. 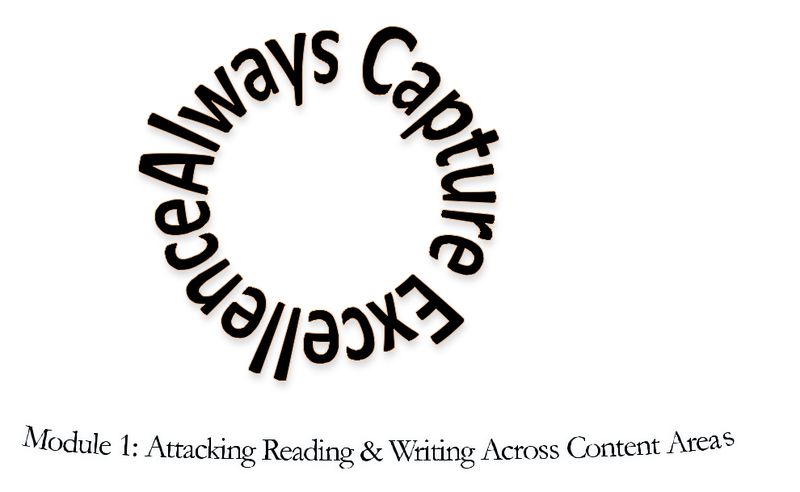 Utilize the Advance Team for all reading activities, especially modeling the Advance Team Plan. Develop a 2 – 5 mini-lesson unit for each of the ShowTime Crew’s strategies. Model each strategy and gradually release it to the student. Note the parallels between pre-reading and reading strategies. Sequence the strategy teaching per overall needs. Create short assignments based on the strategies for written and oral work. Have students work in whole group, small group, pairs, and individually. Throughout, continue to discuss the General’s role in meta-cognition and self-regulation, utilizing the chart. Utilize short- to mid-length texts across content areas to combine the General, Advance Team, and ShowTime Crew’s strategies. Develop short assignments that harness graphic organizers and are applicable to written and oral expression. The focus is on idea production, integration, and communication. Have students work in whole group, small group, pairs, and individually. Apply to longer texts as comfort develops, breaking down text length into meaningful units to drive learning. Perform assessment through review of written and oral work. This phase is ongoing. Use structured writing techniques with purposeful assignments that make meaningful connections to a variety of texts. Showcase how high-quality writing is a natural extension of solid pre-reading and during-reading work. Create assignments that are targeted for specific reading strategies at first and then combine strategies to increase assignment complexity. Foster connections between professional authors and student authors drawing parallels between the qualities of model texts to student writing, such as theme and text structure. Have students work in whole group, small group, pairs, and individually. Work through writing process to improve capabilities. This phase is ongoing. The team consists of a General, the Advance Team, the ShowTime Crew (the Joiner, the Director of Key Terms, the Storyteller, the Information Architect, the Lawyer, and the Journalist) the Post-Production Unit, and the Training Ground. The key concept is to turn reading and writing into a narrative process with a beginning, middle, and end, where the process is broken down into tasks that can be remembered through a character-based system.